The garlic processing production line consists of an elevator, garlic bulb separating machine, picking line, elevator, garlic peeling machine and the picking line for the final product, it can be equipped with slicing machine, cutting machine, bubble cleaning machine, air dryer, drying machine and other equipment for garlic deep processing. 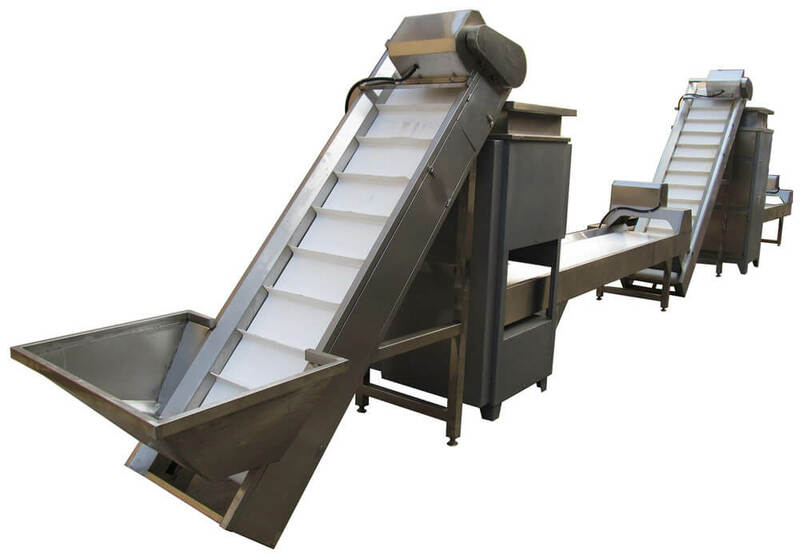 It is the most advanced and ideal equipment for food factory to process garlic. 4. It is widely used in vegetable processing factory, canteen and individual businessman for large-scale production. The processing capacity ranges from 100kg/hr to 600kg/hr. Garlic is the essential flavor product, health product and medicine supplier in our life, it is widely used in food industry, health food industry, and pharmaceutical industry, etc. The garlic contains high health functional ingredients, it has kinds of functions such as prevention and treatment of dysentery, assist digestion, enhance immunity, prevent liver damage and anti-virus and so on. 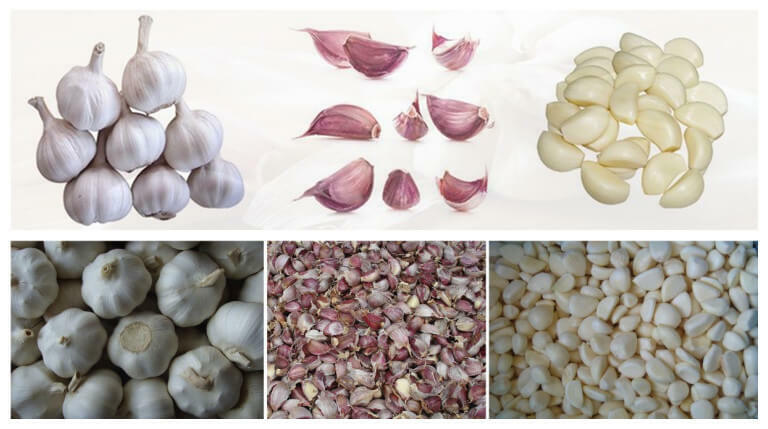 Therefore, the garlic as a special physiological regulation of functional foods, the market demand is growing. At the same time, garlic processing production line as a good helper for kinds of industries to do the deep process of garlic, it is no doubt with large market potential. Choose Amisy garlic processing production line can bring you infinite profit. 1. If you will clean the machine, please switch off the power firstly and clean it with the dry cloth, forbidding cleaning the main engine of the machine with water. 2. If you don't use it for a long time, please put the machine in a dry and ventilate place to keep the machine clean and dry.